Stretch out that Winter Stiffness during this special fundraising workshop for Washington Revels led by Lynn Teo, LAc, MSc, MAOM. Learn simple shiatsu bodywork techniques for the scalp, hands, feet and back. You will leave this workshop feeling extremely relaxed and with the skills to give a simple shiatsu treatment to your loved ones. Tea and light refreshments will be provided. Shiatsu is traditionally practiced on the floor. Please bring a yoga mat, a blanket and a pillow. Bringing a water bottle is recommended. Some extra yoga mats are available on a first come first served basis. After registering, please email info@revelsdc.org if you would like to request a mat. Please note: this workshop is not a professional training program. You will not be licensed as a professional therapist after this workshop. Originating from Japan, with roots in ancient Chinese healing, shiatsu therapy is a holistic form of bodywork. Shiatsu literally means “finger-pressure”. Practitioners treat the same lines of energy (called “meridians”) as acupuncturists. They work through clothing, providing pressure and stretching for the client to reduce tension, improve circulation and treat a variety of conditions. Shiatsu can lessen the detrimental effects of chronic stress by stimulating the parasympathetic nervous system through long holding pressure. This helps our bodies to deeply relax and recover from every day stresses of life and work. Lynn specializes in combining Kiiko Matsumoto-style acupuncture with shiatsu therapy. Lynn received her Master in Acupuncture and Oriental Medicine from the New England School of Acupuncture. Lynn holds a certificate in Acupuncture for the Cancer Patient from Memorial Sloan Kettering Hospital. Lynn also practices Chinese herbal medicine and a number of auxiliary modalities including cupping, moxibustion and non-needling technique for her pediatric and needle-sensitive patients. She is currently studying Somatic Experiencing as it applies to Asian Medicine for the treatment of trauma. Lynn specializes in chronic pain conditions. She holds a Master of Science from Tufts University School of Medicine’s Pain Research, Education, and Policy Program. She was awarded The Saltonstall Award for Excellence for her research on the role of physician empathy training in the modulation of patient pain. She continues her role as a researcher with a specialty in systematic reviews. Additionally, Lynn holds a Diploma of Shiatsu Therapy from the Shiatsu School of Canada’s 2200-hour program, from which she was awarded the Kazuya Award for highest academic achievement. 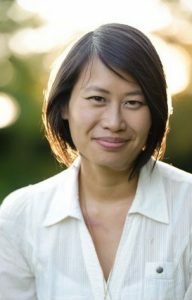 She is certified as a reflexologist from the Pacific Institute of Reflexology in Vancouver, BC and certified in Thai Massage from the Thai Massage School of Thailand in Chiang Mai. She is a Certified Practitioner with the American Organization for Bodywork Therapies of Asia (AOBTA). Lynn is a graduate of the Esther Myers yoga teacher-training program and has over 700 hours of professional training in the Scaravelli tradition. She also received her Practicum Training in Mindfulness-Based Stress Reduction from the Center for Mindfulness from University of Massachusetts Medical School. Lynn is a Registered Yoga Teacher (RYT-500) and is a member of the Yoga Alliance. She has been teaching yoga and meditation for over 20 years and at Washington Revels for the past 4 years. As a yoga teacher, she emphasizes connecting movement to the breath, a sense of grounding to the earth and freedom of the spine. She encourages her students to use yoga as a means to discover movement, freedom of the breath and the art of relaxation within themselves.